AWeber vs MailChimp: Which is Better Suited for Building Your List? Search the web for information on AWeber or MailChimp and you’re likely to come up with two themes: firstly, advice suggesting that you must be using an email platform to build your email list; and secondly, a constant debate between bloggers on which of the two to use, including some who have switched between the two and back again! So what are my thoughts on this hot topic? Well, I agree that building a list of readers, followers, or customers – however you want to define them – is paramount to building your brand. Data is very powerful, since once you have somebody’s email address and their permission to contact them; you can send them tailored information direct to their inbox. They might have seen your content online but what they receive by email can be “subscriber exclusive” and the more valuable the information you send them, the more they build up their trust in you. This is relationship building and is the start of the sales funnel. A percentage of these subscribers will go on to interact with you further through your comments and social media channels and become loyal readers. The ultimate goal is for them to hang onto your every word and finally, make a purchase from you since they value your knowledge so much. You can start building your email address very easily by offering something in return, such as a free eBook download. You then need to make sure the content you supply in your emails is useful for them to make sure they want to open every email they receive from you. The sending of your emails should be at a consistent time every day or week. Using an email platform, you’re able to set up these times and create a series of emails that are sent out automatically to every new subscriber. So that’s the basics of why and how you should be collecting email addresses and sending out communications. Now let’s go deeper into the how and specifically look at which of the two biggies you should be using to complete your email goals: AWeber or MailChimp. AWeber has over 120,000 users across the world, including small businesses, entrepreneurs, and bloggers. Set up 16 years ago, AWeber calls itself “The Original Autoresponder Provider” with industry-leading deliverability. It has everything that you need to build an email list: a web sign up form, the ability to collect and manage subscribers, autoresponder follow ups, and of course, the email sending facility. You’re also able to track the performance of your emails and receive expert support every day of the week. One standout feature of AWeber is the free 30-day trial, making it easy and risk-free to see the benefits of building an email list. And MailChimp? It boasts over 7 million users who send 500 million emails every day. MailChimp has all of the features that AWeber has for email campaigns: custom forms, email creator and sender, automation, and analytics. To manage your subscribers, it’s really easy to view profiles and segment them into groups for various email campaign set ups. MailChimp promotes its mobile campaigns too if you’re considering SMS direct mail. The pricing structure is really clear, based on your numbers of subscribers, and there’s even a free option. Both sound great so far. But still, which should you choose? Let’s break down their pros and cons. Let’s start with pricing, as sometimes the choice will always come down to this. MailChimp clearly outlines the options for different sized businesses. If you’re just starting out and sending up to 12,000 emails to 2,000 subscribers, it’s completely free. This isn’t a trial or expiring contract period, so you don’t need to input credit card details. Of course, a free service won’t come with bells and whistles like the upgraded options, so you’ll miss out on automation, email chat and support, and delivery by time zone. If you’re a growing business, you can opt for a monthly cost or pay as you go option. The latter is the better option if you sporadically send out emails, but if you have regular, planned campaigns, it’s more cost efficient to pay monthly as your email sends are unlimited. The costs range from $10 per month for up to 500 subscribers to $25 per month for 2,000 subscribers. And with this, you get the ability to segment your audience into lists based on their profiles and integration into other web services that you already use. The experts are on hand to help you with your email marketing strategy. There are also options for agencies that are sending up to 1.3m emails on behalf of clients. Through AWeber, sending emails up to 500 subscribers will cost you $19 per month, versus MailChimp’s $10 and $29 per month for up to 2,500 subscribers, versus MailChimp’s £25. Again, there are options with increasing prices for those sending much higher volumes. AWeber offers your first month for free as its free 30-day trial, which brings the annual price down a little. But compared to MailChimp’s prices, what do you get? Expert customer service and autoresponders, just like MailChimp, but you also have access to over 700 email templates and 6000 stock images. Both options offer email and sign up form templates for you to follow. MailChimp is particularly easy to use, which is great for beginners. It’s optimized for mobile, so you don’t need to worry about the technical aspects of coding. It has a drag-and-drop feature so you can rearrange where your image and text content sits, plus you’re also able to replicate areas. You can use the built-in photo editor to tweak your images, rather than editing in another program and importing the content. The file manager will help you to organize your images and other documents and you can access this while you’re editing your template as well as through your dashboard. For the sign up forms, you have the choice of 30 fields that can be included alongside the email address to capture more data. MailChimp’s editing process for emails is also incredibly easy. You can have multiple collaborators who can post comments and send test emails while you’re working on the campaign. When you’re checking that the links work, you can see where the URL points to if you hover over the link, plus the platform automatically verifies links in your email. Finally, the previewer works for PC, laptops, and mobile, so you can see how your email will look on each device side by side. AWeber is even easier for beginners as you simply need to choose a template (mobile responsive) and input your content. However, for anyone who wants to customize the communications they send to their customers, this might not be their preferred way of working. There are a huge amount of templates to choose from – over 700 in fact – or you can pay a premium to have a template designed for you. This option starts from $29 to modify one of the existing templates to your layout, font, color, or background of your choosing. You can pay $229 to have AWeber’s design team work with you to develop a bespoke template that matches your brand. 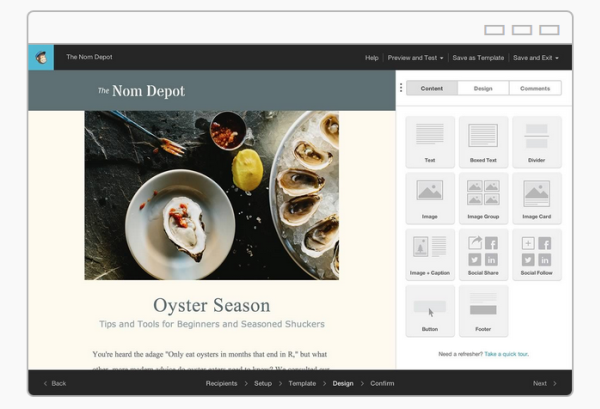 For the same price, you can design a PDF template yourself and have the team convert it into an HTML email. This is great for those who are designers themselves, but it’s a pricey option. So there are cost considerations to make, but mostly, it’s your preference over how much control and flexibility you’d like over your email design. Two important points for both: they’re able to host your images for you and embed the sign up form into your own website, rather than navigating your customers away to an external site. When a customer decides to make the move to hear more from you and signs up to your emails via your website, you’ll want to initially thank them and perhaps send them a series of emails as an onboarding campaign. This is one of the easiest ways to really engage your customers as you can send them tailored information as new readers. For instance, if you sell a service online, the series could include how that service can benefit the customer with the final email in the series offering a discount on the online price. Your customers will have seen all of your content leading up to the sales message and be ready to buy. You can also send autoresponders to those who’ve made a purchase to increase their loyalty. As a customer, what’s better than buying a product from a company that you trust? Perhaps receiving useful information, like product instruction guides, after you’ve bought it. It all helps to build that important relationship. Autoresponders allow you to send out these welcome or product emails without you having to manually take note of every new signup and mark in the calendar when to send what email. The good news is that both AWeber and MailChimp offer autoresponsers that are easy to use and effective at what they do. Both allow you to schedule the days and times that the emails should be delivered and any new signups will receive them in a sequential order. You can use the email design features and analytics tracking of both platforms to set them up and monitor their performance. You can then segment the customers based on their purchases using behavioural targeting, resulting in really personalized experiences. Where MailChimp trumps AWeber is its ability to integrate with other web services. So you might hold your customer data elsewhere, such as Salesforce, and use MailChimp simply to send out your emails. The integration means that your customers’ activities are feedback into your external CRM. MailChimp is also better at creating segmented lists to begin with. You can create different sign up forms for different customers, allowing you to have separate marketing strategies for each part of your business. However, to use MailChimp’s autoresponder feature, you need to be a paying customer. So the free contract does have its drawbacks. This premium is well worth it though as the features are great and the expert support is really valuable to your business. MailChimp also gives you access to the research it compiles on its data, so you can improve your own campaigns. Of course you want your customers to open and click through your email, but you also want to know that the email will be delivered into their inbox in the first place! Email service providers (ESPs) like AWeber and Mailchimp all have reputations with the email providers like Gmail and Hotmail. Put simply, if the two don’t get along, there’s a higher chance your emails will bounce. Email providers do this to make sure their customers receive more of the emails that they want to receive, and so they are strict on spam. For AWeber and MailChimp, it’s reassuring to know they both have good reputations and have deliverability rates well into the 90s. A quick search online tells us the general consensus is that AWeber has the best deliverability rates in the industry and they themselves promise a 99% deliverability rate. Both AWeber and MailChimp have extensive tracking capabilities. Both allow you to really understand your customers so that you can learn who they are, such as what country they view your email in and what email provider they use; and what type of content they like and build that into future campaigns. You can also split them off into lists and send them different communications based on their activity history and preferences. This means you can send them more relevant and targeted content, which is a sure fire way to get sales. You can track your sales through AWeber so you can see what email has made you money and therefore is most successful. 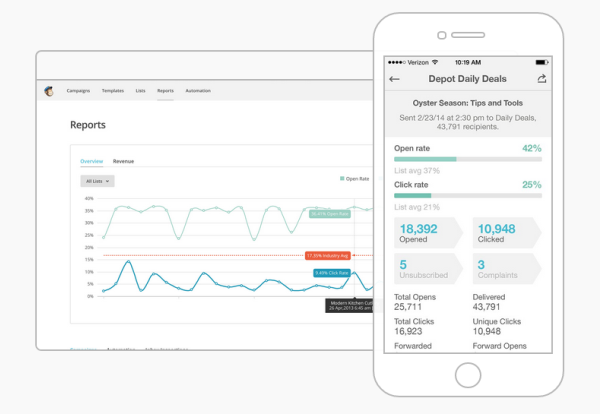 The analytics dashboard gives you a clear overview of opens and clicks per email via graph format. You can see exactly where they’ve clicked so you can build up a picture of what content is interesting for them. It’s also really easy to see who has unsubscribed and use this information to monitor what emails are causing unsubscribes. MailChimp also provides analytics via graphs, plus it has an email overlay feature so you can see visually where your customers have been clicking. This allows you to see the most clicked links as well as using the information to design a more effective email layout in your next campaign. For those who haven’t opened or clicked, you’re able to send them a modified campaign specifically for them. Like AWeber, you can view your unsubscribes, plus you can identify which emails have bounced and MailChimp will advise whether to try the address again or not. There’s a really cool feature where you can compare your email performance against others in your industry, so you can see how your campaigns stand up against the competition. Another great feature is the ability to choose which sections of the analytics reports to show others so that sensitive information is easily hidden. MailChimp makes it easier to do AB testing than AWeber. AWeber promotes this service for its opt in forms, but MailChimp outlines many tests that you can do for your whole email campaign. It can help with testing the best day and time to send your email or split testing subject lines, for instance. Whether you’re familiar with HTML and CSS, are an email design whizz kid, and have analyzed many statistical reports, or you’re completely new to email marketing; you will always need support. It could be help with the initial set up of your account or emails. You might not understand what your analytics are telling you and will miss out on the opportunities to use this knowledge to better your communications strategy. Or they may be a failure somewhere in the email send out process and you have to speak to an expert to rectify it. Whatever it is, a service provider like AWeber or MailChimp has to provide support. This is where AWeber blows MailChimp out of the water by some distance. AWeber provides support via telephone, email, and web chat every day of the week. Their support stops at 8pm during the week and 5pm on weekends, but it’s a lot better than MailChimp’s support, which is through a contact form only. All businesses need to be efficient with their time, so waiting around for a response isn’t really an option. Plus, waiting for an answer is even more stressful when you’ve uncovered a major problem with your campaign. Where both providers are incredibly useful is their resources. They have how-to guides and video tutorials for both the technical and strategic sides of email marketing. They both have ideas blogs for you to take inspiration from and keep up with the latest trends. AWeber also provides clear information on switching from other email providers. Your business model might include income from affiliate links. To do this, you’ll need to pepper your website content with them and promote them via email. Even though affiliate links are often inconspicuous – as the whole idea of affiliate marketing is built on trust and recommendations, rather than the hard sell – MailChimp doesn’t really like them. It doesn’t ban affiliate links, but if any of its blacklisted links appear in your emails, it’ll come down harshly on you. Its blacklisted links include many retailers, so it’s a tricky thing to get around. You risk being shut down completely if MailChimp disagrees with the content you’re promoting. And it can do this without warning. Both AWeber and MailChimp keep up to date with industry trends and tailor their offer to meet their customers’ needs. They’ve both developed integration with social media, which is a great option for those who incorporate it into their marketing strategy. You can send your Twitter and Facebook followers a link to your latest email and see the reports on who clicked on it. As with all things social media, this link has a chance of being shared to a wider population, further spreading your message. Both MailChimp and AWeber have recognized that their customers might want to quickly edit something or view their campaign’s performance while on the go. They have therefore developed their own mobile apps, which allow you to send campaigns and view reports directly from your mobile. 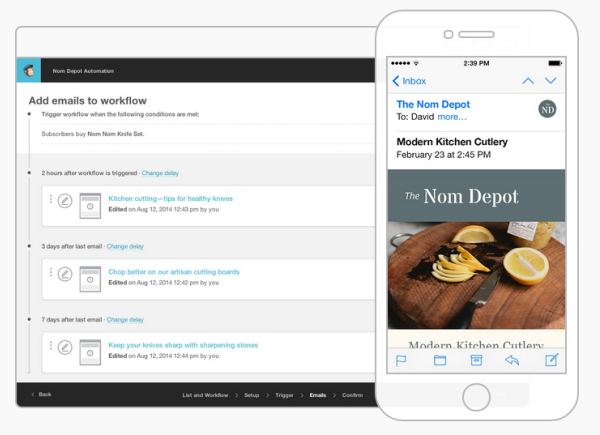 You can even design emails on the app and keep up to date with your team. You can also use your mobile to send texts to your subscribers as another way to communicate with them. Think about your needs now and in the future. Yes you might only have a few subscribers at the moment and could get away with using the basic, free service from MailChimp, but you’ll need to think to the future and be sure that you’d be happy with their prices and service as you grow. It’s very easy to set up an account and an email campaign using either provider, but less easy to switch later down the line (although not impossible). So if I were to start from scratch, which provider would I choose? 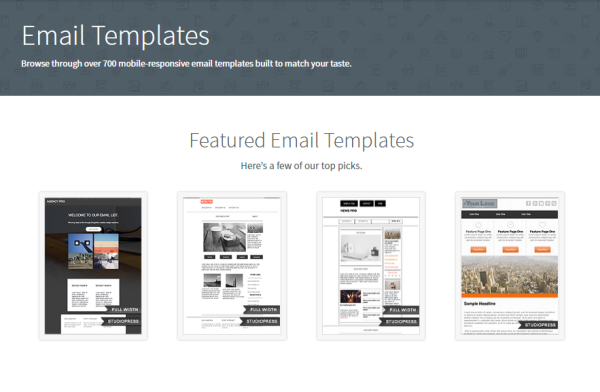 Both are brilliant options for email marketing and have many similar features. However, MailChimp has more options for designing and reporting. It seems easier to use and all of the information is clearly there for you to digest. Plus, even the paid options are cheaper than AWeber. However, the couple of drawbacks could be too major: the lack of support and the harsh restrictions on affiliate links. It could be worth paying the extra simply to get the return on investment through your affiliates or put your mind at rest that you can reach a friendly voice. If these two things aren’t deciding factors for you, then the winner is MailChimp. mailchimp until my list is large enough to justify the monthly charges. Thank you! Jd be very careful about being an affiliate and using Mailchimp. If they find out or even have a reason to believe your doing affiliate links they will instantly ban your account without notice. I’m fine with MailChimp, as I’m just a beginner and have just a few subscribers. However, after reading this article I might consider switching to Aweber. Thanks for your review. I use MailChimp and I managed to set up an RSS to email campaign without too much trouble. It would be nice to have support but for a free service it still gets my vote. I have used both of these for our company before, and we have gone back to using MailChimp as it just offers a better all around solution. One thing to note is that if you get peoples emails from other systems (Client areas, memberships, product signups) It is easier to get them into a MailChimp list rather than Aweber’s list, as Aweber sends a confirmation notice of the list sign up that doesn’t always 100% match the list definition. Just one of the small examples that added up to send us back to MailChimp. Appreciate the feedback J.Duncan. Just as a heads up, confirmation messages within AWeber are totally customizable. It’ll send whatever you have setup to send, if it doesn’t match for some reason just tweak it and you should be set to go. Why on earth does Aweber NOT have split testing for a follow up secquence? MailChimp has it. Aweber only allows for Broadcast messages. We can’t test our Autorepsonder secquences. I’ve worked with MailChimp for a few years now, and I think they’re fantastic. Based on what I’m reading above, they must say that the free account does not get support, but I’ve asked a question or two here and there, and they seem happy to answer. Brenda, I thoroughly enjoy reading your blogs and learning about all the most important apps for my Elegant Themes websites. You are the best writer I have come across because you consistently write great content and are to the point. I wish I could blog like you! You are hot! 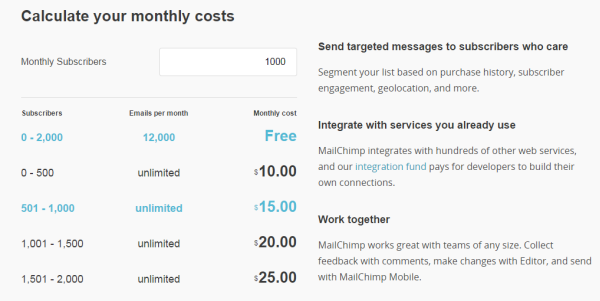 Mailchimp automation is not a paid service. They offer 12 automation options and only 4 of those require you to be on a paid plan. But for the most basic – offering an opt-in freebie – that is available with the free account. I use MailChimp and am happy about it. Aweber is little difficult for an amateur like me. Regardless of which platform you choose, I’ve found switching from one to the other requires that you ask your list to ‘re-opt-in’, and that can result in losing some subscribers. Another great alternative to both (to those that don’t mind setting up their own server) is using Sendy. Thanks Brenda! Appreciate the detailed and reasoned comparison. Good article and good timing… been on the fence for awhile. Been using MailChimp free for a few years and recommend it to my clients (over Constant Contact – who at one time was King of Mail providers). I need autoresponders now so will upgrade to MailChimp paid … was considering Aweber (which seems like the preferred choice with Internet Marketers) … also Get Response is another major player. Your article broke down pros and cons very well… I want to make a smart decision now, because like Steve mentioned, moving from one to the other is not always simple. Decisions, decisions… but I think I’ll stick with MailChimp. Thank goodness you didn’t include Constant Contact. They have spent a lot of time trying to sink resources into improving their partner program to grow revenues without making any improvements in their actual product. The contact management and email creation modules are particularly poor compared to AWeber and MailChimp. I will take up aweber, thanks to your comparison. I’ve used both services working for different clients, and I prefer Mailchimp because is easy to use and also fun. Mailchimp has better support for other languagues, special characters and accents. With Aweber we couldn’t translate some “opt-in” messages. If you have and international o foreign business I recommend Mailchimp. A change on the horizon for MailChimp, which I use and love, is for free subscribers. When an account is newly created, the subscriber will only have 30 days of email and chat support. Subscribers with accounts created some time ago will continue to have the email and chat support on free accounts until April 13th. To continue to receive email and chat support beyond that date will require an upgrade. MailChimp and AWeber are not the only solutions available on the market. Some less expensive solutions exists with unlimited number of newsletters and even more simple interface with excellent delivery rates and less constraint regarding the rates of bounce acceptable. After testing many of them, including MailChimp and AWeber, I have selected WikiMail. This is a blog about WordPress, right? So instead of reviewing two external services why not include Mailpoet, a WORDPRESS plugin that does everything Mailchimp does, but from within your website? 1) by running it through WP doesn’t that task the client’s mail hosting provider directly instead of it being on the reputation and load of the external provider? That seems like a potential issue. 2) Does MailPoet allow custom designed emails? CC didn’t back in the day which is one of the reasons I wouldn’t work with them. 1. (And I think this partially answers your question, Patrick.) It would tax your hosting server IF you ran too much email through it. But that isn’t the best way to do it. You can get an external, pay-as-you-go provider like Elastic Email to do the heavy lifting. I think that may be why it was left out of this discussion. MailPoet does what it does but it is only part of the solution. The other 2 are total packages. 2. You can customize your emails. I use it primarily because the free version will do an auto-responder. Superb comparison, as always I enjoyed it. To be very frank to you, I was not aware of these things – all I knew is that there are two giant email marketing softwares Aweber and Mailchimp but thanks for sharing such detailed and insightful post. So finally, based on your views, I’m able to reach a conclusion that Aweber is the perfect way to start email marketing as it provides more freedom and better services in some aspects as compared to MailChimp. We have been using mailchimp for quiet a while now and it is just so easy to use. We thought about other mail platforms, but then again, why fix something that works so good for us? A really great comparrison. I ran into som problems with mailchimp and was looking for a better, cheap alternativ. Tried using active campaign, but after having used mailchimps far better interface, active campaign was no match. I then tried aweber, and although it was more expensive, it was just as easy to use as mailchimp and I didn’t have any problems sending the mails i wanted to send. Mailchimp is a great newsletter tool, but aweber is just better in my opinion. European e-mailer need other tools! Thank you for the comparison of the big players in the US-market. I understand the relevance of a professional list provider. And if you money comes from your list – you might need it. The European commission plans a digital single market. Will Aweber an mailchimp accept the regulations? the time where Aweber ignored Umlauts seems to be history, but how about European rules? There are other business models, where the e-mail list is not the center and its more important, that it is there and does not create additional costs. The solution could be http://phplist.com. Its 100% open source and you can host it on your wordpress server. You can also get a hosted service. For lower numbers mailchimp or aweber provide much more. Thanks for the info. Would like to see a comparison also with Constant Contact vs. MailChimp and AWeber. Also, someone mentioned Mailpoet as a WordPress plugin. Perhaps that would be good to include in comparison as well. Lots of Information to digest! How about one comparing Mailchimp and AWeber to Constant Contact? We went from AWeber to MailChimp to Mad Mimi and, so far, very happy with Mad Mimi. https://madmimi.com/short_ref/r0lm (affiliate link). I have used Mail Chimp for quite a few years while building my email list which is small but effective. Initially, Mail Chimp went from great online chat support during business hours, to email support – and now to discontinuing support altogether for non-paying customers with a list of names less than 2000. Some features within Mail Chimp are only available to paying customers. While I think it is necessary to charge a fee I do not feel it is acceptable to say to your customers because you don’t pay you don’t get service. Mail Chimp software is user friendly, their knowledge base is good as well as the online guide booklets. The drag and drop modular building is not difficult to figure out how to design. Built in RSS feed code work well with WordPress sites but not so well on other platforms it requires knowledge of meta tag descriptions and coding knowledge and can become complex. That being said, I am thinking of finding an alternative to Mail Chimp and had not considered AWeber. I also heard about Mail Poet they have email support only. Sometimes you need to talk to a person and not wait two or three days for an answer because the email has to go out on a certain date. When you have clients you work for they don’t want to hear you couldn’t get the email out on time. I am just disappointed Mail Chimp has gone this way which says to the small guy; we don’t have time for you anymore, just the bigger clients will do. Thanks for the information in this article Brenda, always good reading. So now I am also in the dilemma of what to do – but I will check out AWeber since I need a reliable service regardless of how many emails in a given list. You’re working for clients but use a free Mailchimp account? It isn’t strange they don’t give support to free users because they have X million free users. How can you pay support personnel that give support to people who aren’t paying? I think your expectations are too high. I agree that talking to someone might be nice sometimes but the reason you want to go to AWeber are because you use a free account…? Aweber is the only major Email List Management Service in its class that offers the ability to turn OFF opt-in confirmation (aka double-opt-in). While I strongly believe in confirmed opt-ins, and this lends to strong individual reputation as well as strong service rep (reputation = deliverability), I build integrated systems and perform the confirmation steps myself, posting only those who successfully confirm to the Email Service via API or simple AJAX. Regardless of the use, even if you go against best practices and shut off double-opt-in, I also believe philosophically that one should have a choice. For this reason, all my clients use Aweber exclusively, and for philosophic reasons as well as a stronger brand name (MailChimp? Really?) I exclusively recommend Aweber. Of course, when it comes to Transactional mail I use Mandrill exclusively, go figure. I don’t know others opinion but my personal choice is Aweber.Aweber is best in every aspect.In email marketing its superior than others.It can promote business very easily.I am really pleased by using aweber. Hi there, what you think about Get Response? If that service is better or not than MailChimp or AWeber? Thanks. Brenda – thanks for the extensive comparison. I have a number of small start-up type clients so the Mail Chimp approach makes sense. That said, I have used AWeber with some success. The affiliate link question is confusing me a bit. If you want to use an “affiliate” type offer, why can’t you link to a landing page on your site that promotes a link to the affiliate offer? How could MailChimp object to a link to your site? Esay, Simple, flexible : WikiMail ! In my opinion aweber is better than mailchimp but I wanna try getresponse- I saw on their website (http://www.getresponse.com) that it’s possible to get free trial version of this email marketing platform. I have always been an aweber fan but I have a client with a small customer base who is not very computer savvy…so i am going to recommend mail chimp and see how that goes. Thanks for the report…it was most helpful. I am using the mailchimp email marketing tool. Which is given good delivery rate and open rate. It looks like a user friendly tool. But not using for bulk campaigns. Nice themes. Likewise Awkeber is too good one in email marketing. Thanks for your such a useful information. Really enjoyed reading this article. My personal choice is AWeber simply because I feel like it is a lot easier to use. Thanks for all the great info! Very useful post that get to me the right person at the right time. But I would like to know, Mail chimp, didn’t they list the blacklisted links in their site? Thanks so much for such a clear and informative comparison post between MailChimp and Aweber. Personally, I think MailChimp is a bit better than the other one, I’m using it. Keep sharing many interesting posts! I like the Mailchimp as they do have the easy interface and it is free too. you can start with the Mailchimp first and then after try Aweber. Brenda did not mention an important “gotcha”: Mailchimp is explicitly supported in Elegant Themes’ interface, i.e., ET themes talk natively to Mailchimp (and several others). AWeber is not supported, and it’s necessary to use a 3rd-party plugin to get data from your form into their database. This is also true of Contact Form 7. For example. It’s been a real pain in the neck to get my forms to talk to AWeber without using their popup form, and the AWeber interface itself is less useful than Mailchimp’s, I couldn’t answer my question regarding forms using first and last name fields rather than a single name field in their help system either, and you shouldn’t need to call support for a simple task like customizing fields. I can also say that AWeber strongly discourages developers using any data-sharing plugin but their own, or using any pop-up but that produced by their server. Just my observations trying to make my wordpress site work with AWeber because the client requested it. I’ve had much more luck with Mailchimp. You forgot to compare Partner programs if you are working with many clients and you want to get some discounts or revenue from their accounts. Who is the winner there?